Almost everyone dream of a fairytale wedding, but what no one dream about is a wedding that would cost so much they may have to keep on paying for it until they retire. This may sound funny, but lots of couples in a bid to say “I do” actually end up saying “I will” to massive debts and credit. The extravagant nature of modern day weddings has put a lot of pressure on intending couples and their families. The average cost of a wedding in the UK is about £30,000 with the most expensive elements being venue hire, food and honeymoon. More surprising is the cost of engagement ring which has risen to the highest it has ever been. In most cases, parents are not the sole financiers of these weddings. Even the couple and their friends have to pool resources. However, not every couple and their family can afford to spend that huge sum of money on a wedding. In most cases, they have to economize wherever possible. 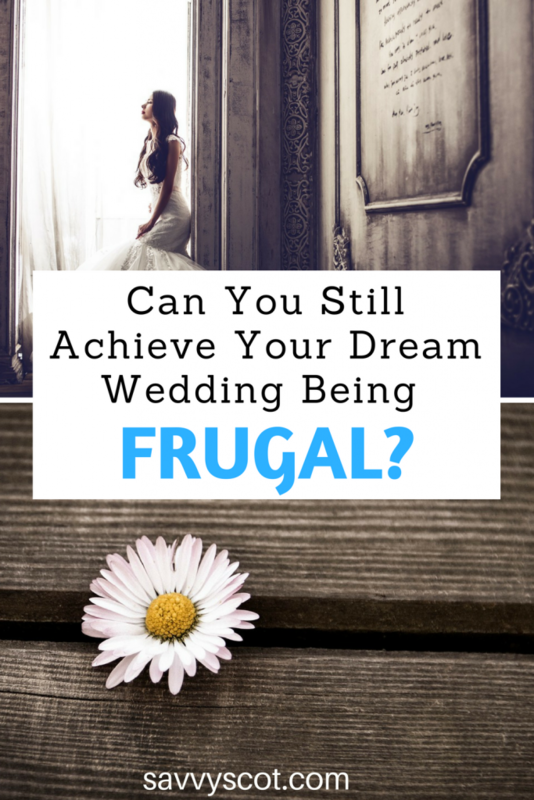 But is spending a lot necessary to having a dream wedding? The answer is an emphatic no. You can still have the wedding of your dreams without shutting down the bank. You can go here to see tips that would help you have a dream yet frugal wedding and not only will your guests not mind, they will have fun also. As earlier pointed out, one of the top expenses couples make for weddings is paying for a venue. Additionally, the city where the wedding will be held will also determine how much you can expect to pay. It is therefore not surprising that London happens to be the most expensive location. It is okay to have a picture of how you want your wedding to look like, but with a bit of creativity, you can have a themed without paying through the nose. Instead of paying for space on the beach, park, or banquet hall at the closest Best Western, you can in a few hours convert a neighbor’s backyard to a fairytale theme. Alternatively, you can talk to the local school to allow you use their field on a weekend. At the end of the day, you may actually realize that the perfect venue is something you can do without. A lot of brides to be have their heart set on that picture perfect wedding gown, something they would own and pass down sentimentally to their daughter. While there is nothing wrong with this, if your plan is to cut cost, then you can always rent the perfect wedding gown rather than buying it. There is no denying that there are lots of super rich people out there who can spend way more than the average on their wedding. But that doesn’t mean you should not cut where you can. Getting married is a wonderful milestone that a lot of people wish to achieve, but there is nothing to be ashamed of if you want to keep expenses down. There are stories about people who have done weddings with far less than £30,000, some even managed to have a beautiful wedding with as low as £3,000. Regardless of what you have heard, you can have the best wedding possible on a shoestring budget. At the end of the day, what matters is that you are getting married to the partner of your dreams.